Vh1 Supersonic, the annual music festival organized by Live Viacom18, christened its new home in Pune last weekend and one thing is for sure, these guys mean business! Competing with a cohort of same league festivals can be tough. Being sustainable and differentiated are known to be the two deadly challenges most festivals face. 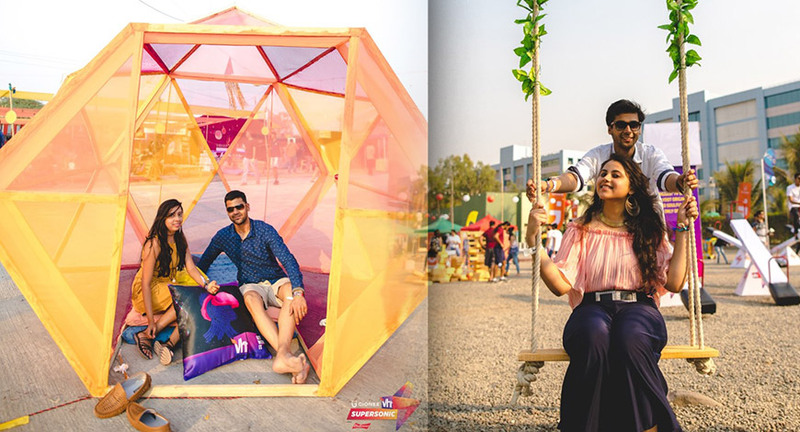 But as Supersonic lifted the gates to its 4th edition this year at a spanking new venue, and as its multiple unique experiential offerings slowly began to manifest, it became amply clear that the festival is here to stay. And it may just knock out a lot of its competition while it’s at it. Right off the bat this year’s edition of Vh1 Supersonic superseded all previous editions of the festival. Issues with Goan authorities led the festival to scrap its plans for 2016 and move out to Pune. 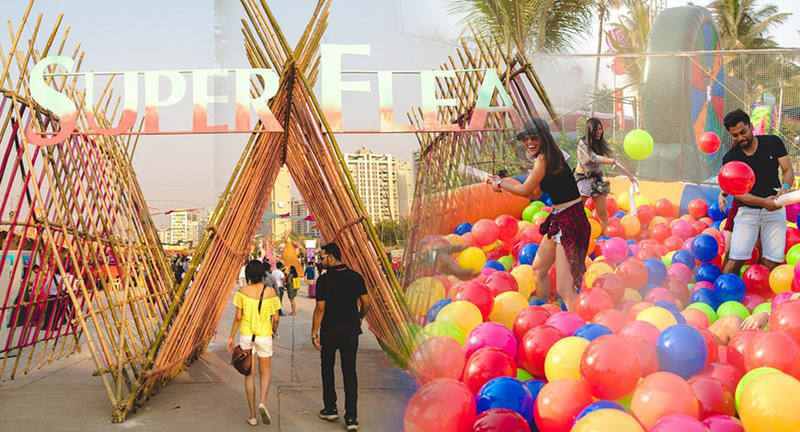 Without a question, fans were cynical of how the festival experience is going to unfold in the middle of Pune city after its previous editions on the scenic shores of Goa; and organizers responded with “I’ll see you and raise you”. 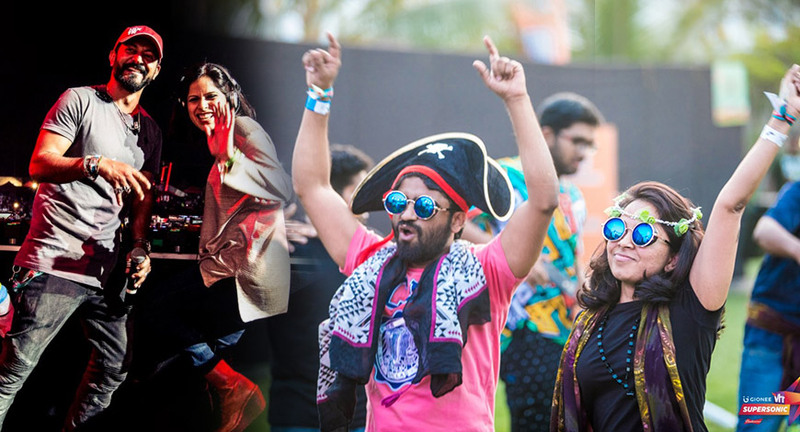 This year Vh1 Supersonic was special for many reasons. While retaining its title sponsor Gionee, it also snagged Budweiser as its presenting sponsor. Against all skepticism and with no assurance of success, several other sponsors came on board piggybacking on the confidence displayed by organizers. Lets just say this could easily be one of the better decisions they would have made. Here’s what you missed at Vh1 Supersonic 2017 and what made it work. Its good tidings for Pune this year as many festivals have embraced the city as their new home. Supersonic too marked its debut in Pune at Lakshmi Lawns in Magarpatta area. Now, mapping a new venue can be tricky from an organizers point of view. The smooth flow of crowd, consistency of the vibe, correct pairing of experiences, and most importantly, the modulation of sound from multiple stages can only be perfectly observed while all variables are in action. In the case of Supersonic it's organizers nailed it. The venue was utilized beautifully well. All three stages were far apart to ensure the sounds don’t conflict and close enough to make the experience cohesive. There were on average 10,000 people at any given point during the three days but no part of the venue looked bare or too crowded, just very well balanced. This year marked the first edition for many members of the team organizing Supersonic following Live Viacom18’s unpleasant fall-out with several of its core team members last year. While this is what anxieties are made of, the development played off very well for Supersonic. And the reason is very simple. “We’ve always done it this way” has been universally dubbed the most dangerous and expensive phrase in business. Because it was an entirely new team this year there were no benchmarks and ideas were not restrictive, clearly the result of out of the box thinking, apparent in the completely different avatar in which the festival presented itself. Survival is difficult for a large-format event in the country, especially in the first few years when it’s acquiring ground, therefore aware of the odds stacked against it the team pulled out all the stops when it came to bringing organizational value to the event. There were no long queues because the box office was large enough to be able to smoothly process double the crowd that came in. Bars were many and to gain access everyone had to get ‘Legal Drinking Age’ clearance tags from pre-assigned counters. It is encouraging that management addressed the issue of poor toilet facilities, a major problem at music festivals. This year lavatories were well equipped and hygienic, among the best porta-potties at a festival hands-down. Security officers and assistants were stationed throughout the venue eager to help and ensure a safe and secure festival experience. This is where Supersonic scored the maximum points. The experience of Supersonic was amplified to so much more than just being music centric. Each area was carefully detailed and curated. The flea market featured a selection of limited but quirky products keeping in mind the targeted consumer. Evidently the focus of the market was on quality and not capacity which reflected in the experimental assortment of sellers who seemed to have been handpicked. The Beer Garden was a visual delight amongst other things. LED seesaws, life-size Jenga and darts, swings, trampolines, ball-pit, quirky illustrations and visuals, it all appeared to be tailored for giants, fairies and leprechauns; surreal, to say the least. The food zones seemed to be the collective curation of some big time foodies who were left to starve for a week before unleashing them to the drawing board. Everything was immaculately designed, from Chinese, Mexican, American to desi, great food at great prices. Furthermore, the cashless transactions via sleek RFID bands left more room to hold food. Un-messy and Brilliant. While Live Viacom18 raised the bar of organizational measure, Supersonic is after all a 'music festival' and therefore organizers knew they had to strategically outline the artist lineup for a leg-over competition. Enter Nikhil Chinapa. Live Viacom18’s wingman and festival director of Supersonic, Chinapa has been in the music business since the mid-nineties and has been among the torchbearers for the country's music awakening. Travelling around the globe with wife Pearl Miglani, the duo boast of a catalogue of world famous Djs in their phonebook. This time the strategy was not only to open up the choice of music genres by including hip-hop and reggae but also bring artists that the country had never witnessed before. Macklemore, Eric Prydz and Zedd were the headlining acts and won over the audience quickly, but regulars such as B.R.E.E.D., Aly & Fila, Joris Voorn, Boris Brejcha brought out their A-game too. In summary, a lot of man-hours and money has been spent in making the 4th edition of Supersonic come up roses. Was it able to secure more revenue than it invested? We don’t know. But does it give competing festivals reason to be nervous? Without a shadow of doubt, yes.